Getting outdoors to enjoy nature with my family and friends was the inspiration I needed to create the FDOA twenty seven years ago. We have evolved into much more than with our mission, goals, and objectives. However, I like many others, get absorbed with our fast paced, complex and demanding life styles and we usually neglect to make the time to indulge into the multitude of diverse outdoor adventures that are available here in Florida for us to enjoy year round. This summer, my wife, Lynn, had family visiting us from Iceland and we took them on a canoeing trip down the Chipola River. They loved it!! It was a great trip for them, offering a completely different outdoor setting than what they had experienced all their lives in Iceland. It was a great refresher for me and served as yet another reminder of the many benefits of getting outdoors and why we do what we do at the FDOA. I enjoyed that trip so much that we joined LIM359 (an amputee support group) for a return trip. They planned an outing with Bearpaw Outfitters to do the same four mile trip. The first two miles is down the Spring Creek run to the Chipola River near the town of Marianna in Northwest Florida. The trip is has a beautiful, wooded scenery on a crystal clear, cool water run that is also enjoyed by many using inner tubes and floats. This time, I invited a new friend, Tom Weldon, to join us. Tom is an avid paddler who recently retired and wishes to help people with disabilities to discover and enjoy paddling sports. 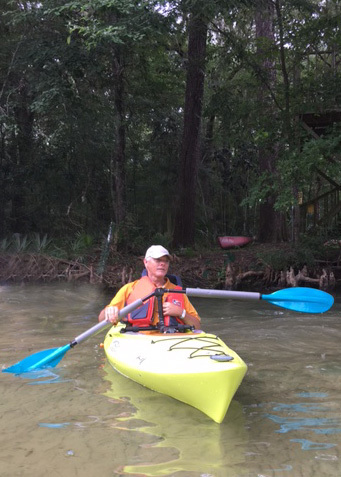 He brought a kayak that had an adaptive paddling system incorporated with it for me to try. This new product makes one arm use not only possible, but very efficient. It is very accommodating and non-intrusive. It is something that many people of differing abilities can benefit from. It is also perfect for use by those with no disability and especially suitable for fishing and photography as it frees up your hands and keeps the paddle conveniently ready for use. Check it out at www.angleoar.com It works! Tom also has also designed and built an adaptive paddle board with this system and incorporates a seating system that he used on our trip. I can’t wait to try it! I have wanted to do the SUP thing, and now I know that it’s very possible. That’s what we at the FDOA strive to do, helping to give people the opportunity to participate. The anticipation has me fired up! I’ll let you know how it goes. Better yet, check it out for yourself. We are planning to do an adaptive paddling experience along with our Big Kahuna Canoe Race event in the spring in conjunction with a fundraiser for our Tallahassee SportsAbility event. I invite you to join us and try out these products yourself. Watch for details. Motivation - How do I do that? The team determined that the intrinsic goals were most effective in motivating people to exercise. This has been the theory behind Florida Disabled Outdoors Association programs since its inception. Do what you love and it won’t be drudgery. This is why we try to highlight so many different programs. People are different and what they find fun varies. My good friend, Henry Flores, once told me that when he was first injured over 20 years ago and began using a wheelchair, people would ask him if he was going to play wheelchair basketball. He explained that since he was athletic and at that time there were less opportunities for people of all abilities to play sports, people assumed that he would be play the one sport of which they were aware. Let’s move forward to 2017, in our Resource Referral Network, we have a database of sports programs in Florida from SCUBA to martial arts and sky diving. Variety is the key! The other important thing to remember is that people have the RIGHT to be included in mainstream recreation programs because of the ADA and that can be enforced. If you are not sure what is going to motivate, that is great too. You can try a lot of different things until you find your passion. The activity you like may change by season over time. I encourage to set a goal. It may be as simple as finding what you like. My upcoming goal is to do a metric century bike ride this year, which is about 62 miles. Wish me luck! Mark Your Calendar for April 12-14, 2018! More details to come soon! The Florida Disabled Outdoors Association may be in Tallahassee. That doesn’t stop them from representing the idea of being “Active 4 life” for everyone across the state. 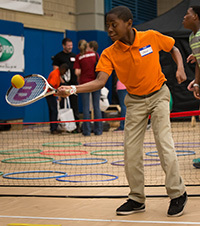 As a former FDOA intern, I found myself enjoying helping people of all abilities stay active. I took this experience with me to South Florida where I am currently a Disability Programs Specialist for Miami-Dade County Parks. 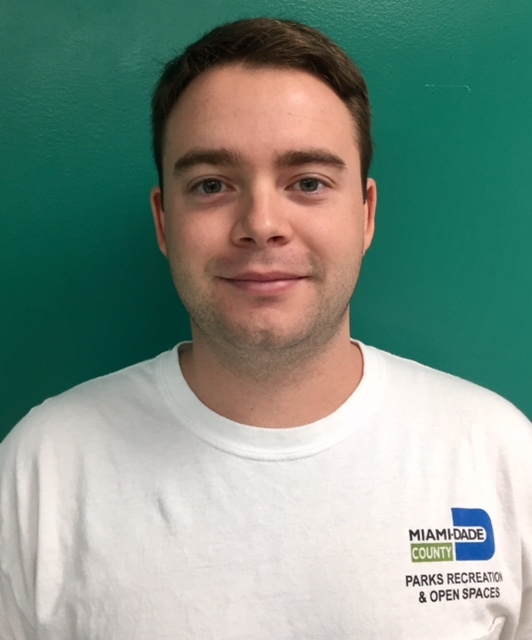 Miami-Dade County’s Parks, Recreation, and Open Spaces Department (MDPROS) offers a wide variety of programs for persons of all ages with disabilities. We classify the programs mostly by age, but a few require tryouts due to advanced competitive nature. Some of our highlight programs include Paralympic Sports, Special Olympics, and Learn to Swim. This list of programs is current as of August 2017 and includes contact information, prices, and details for interested parties. Wheelchair Basketball Team Miami Springs Recreation Center Saturdays, September–March 2-4 p.m. Wheelchair athletes 18 and up practice weekly and compete in Florida and National Wheelchair Basketball Association tournaments. Basketball wheelchairs are available for practice. This program is sponsored by the Leisure Access Foundation and the Miami Heat. Archery Camp Matecumbe 2nd and 4th Tuesdays, September–April 10 a.m.-noon $40 for 8 sessions Adults with physical disabilities learn introductory archery skills. Adapted archery equipment is provided. Handcycling Homestead Air Reserve Park Thursdays, September–April 5-7 p.m. Adults with physical disabilities train on handcycles and prepare for local and regional rides and races. Handcycles are provided and beginners are welcome. This program is sponsored by Achilles International Track Club. Goalball Team Gwen Cherry Park YET Center Saturdays, October–March 2-4 p.m. Free Individuals ages 14 and up who are blind or visually impaired learn to play goalball, a sport created for blind athletes, for fitness and recreation. No prior experience is necessary. This program is sponsored by the Leisure Access Foundation. Water Exercise $40 for 8 sessions Adults with arthritis or other physical disabilities participate in low impact group water exercise routines to promote flexibility, strength and balance. Out of School Programs Afterschool: Monday–Friday, August–June from 2-5 p.m. Seasonal Camps and Teacher Work Days: 9 a.m.-5 p.m. These programs are for Children with Disabilities ages 6-21 and are funded by Miami-Dade Parks, Recreation and Open Spaces and The Children’s Trust at no cost to participants. S.T.A.R.S – Skills Training for Autism Recreational Sports Greynolds Park and Tamiami Park Saturdays 10-11 a.m. for ages 6-12 11 a.m.-noon for ages 13-18 $40 for per 8 week session Children with Autism ages 6-18 learn fundamentals of sports in four consecutive 8 week sessions of each; soccer, basketball, flag football and swimming. Swimming Lessons Children and adults ages 6 and up with physical or visual disabilities learn water safety, swimming and aquatic fitness activities. Offered at AD Barnes Pool, Goulds Pool, and Palm Springs North Pool. how to benefit from physical activity!